Where to see glowworms for free! New Zealand’s most interesting maggots are not only found in the caves with a price tag. These native creatures can be found all over New Zealand, North and South Island, clinging to the bushes on a dark night and hanging in free-entry caves. 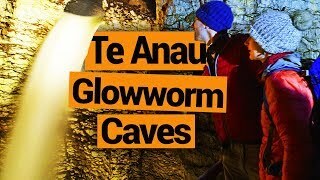 They are not limited to but many can be found in the free glowworm caves in New Zealand listed below! It kind of goes without saying, but glowworms like the dark, therefore it’s always a good idea to take a torch with you to all the locations stated below. Navigating caves on your own without a guide should be done with caution. Don’t enter a cave during or after heavy rainfall. Some caves might not be marked to show the way through the cave, so be aware of where you came from to get back out again. 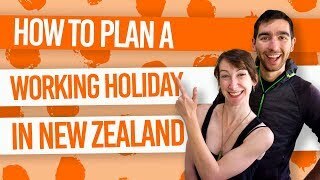 Of course, for those less adventurous, we have listed a few bush walks and easy-to-reach tunnels so you can see glowworms for free in New Zealand without going on an epic mission. The mission to get to these “off the beaten track caves” makes discovering Waipu Caves all the more rewarding. Situated along the gravel roads of the Northland region, the Waipu Caves have a great display of glowworms. Be warned, you might get your feet wet. Location: Waipu, Northland. Off State Highway One, on Waipu Caves Road, south of Whangarei near Waipu. To reach Waipu Caves Road from State Highway 1 take either Shoemaker Road, from Waipu or Springfield Road from the north. The glowworms seem like just a bonus when navigating through these limestone caves unusually found in the Southland region of New Zealand. The cave network takes 1-2 hours to complete and can be a bit adventurous at times (you might get your feet wet and expect to do a bit of climbing along a narrow ledge alongside a pool towards the end). Along the way, you’ll get the chance to see many glowworms and their sticky strands up close. Be aware that this cave is prone to flash flooding so do not enter during or after heavy rainfall. Location: Clifden, Southland. Approximately 1km northeast of the Clifden/Blackmount corner, travel on State Highway 96 to Clifden Gorge Road. There is a signpost opposite the car park indicating the cave entrance. 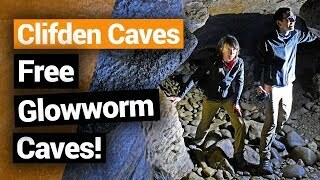 Glowworm caves? In Tongariro? Yep, that’s right! Okupata Caves is an adventure underground with glowworms and a fun network to navigate. You might get your feet wet and remember where you came from because these caves are unmarked. Do not enter if the stream water level is high (markers will indicate this) and/or during/after heavy rainfall. The gravel road to get to the caves is pothole central so be sure that your vehicle can handle the journey. Location: Tongariro Forest Conservation Area. Turn off State Highway 47 onto John McDonald Road (a rough gravel road). Veer left at the Pukehinau Road intersection, and continue to caves that are signposted. Hidden in the hills of Whangarei are the Abbey Caves. Enter various different caves: the Organ Cave, the Middle Cave and the Ivy Cave. Glowworms can be found in all of them but the display is most impressive in the grand Organ Cave. It is likely that you’ll get your feet to thighs wet in these caves so be prepared. Location: 4km from the Whangarei city, take Abbey Caves Road where the caves are signposted off the road. This isn’t exactly a cave but it sure is a place that a lot of people go but miss the glowworms! When heading down the walking track to Hot Water Beach in the Coromandel at low tide to dig yourself a hot pool, we always recommend going at low tide after dark to see the bushes lined with glowworms along the Hot Water Beach walkway. Location: Hot Water Beach, Coromandel. Take Hot Water Beach Road to the Hot Water Beach car park opposite the Top 10 Holiday Park, follow the walkway to the beach. 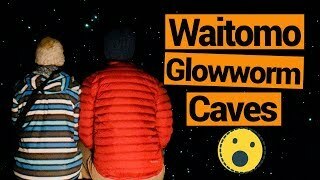 In the realm of the Waitomo glowworm caves, there is one place where you can see glowworms for free. Like the point above, it’s not exactly a “cave” but taking this walk through the arches, tunnels and limestone cliffs of the Ruakuri Bush Walk by night will reveal many shining glowworms. Find out more at 15 Free Things to Do in Waitomo. Location: Waitomo. Just off Tumutumu Road. The easiest access point is from the Waitomo Adventures car park. This bush walk easily accessed from the town of Moana in Lake Brunner (West Coast) is filled with glowworms at night. The track only takes 20 minutes to complete, so it’s a good quick dose of bright shiny maggots. Location: Moana, Lake Brunner. Signposted on Taku Street. Manawatu‘s glowworm caves in the North Island can be found just outside the little village of Apiti. Glowworms can be seen in these triangle caves during the day, but the viewing is best at night. Location: Apiti, Manawatu. North of Apiti village, take Table Flat Road and follow the signs to Sixtus Lodge and the glowworm caves. There is a signpost directing you to the caves. Just on the outskirts of the West Coast town of Hokitika, the Hokitika Glow Worm Dell is a great opportunity to see the glowworms shining at night. The walk down to the dell from the roadside is only 50m. Location: Hokitika, West Coast. Obviously signposted from State Highway 7 roadside at the northern Hokitika town entrance. Parking available but it can be walked to from town. Just outside the North Island settlement of Kakahi, the Kakahi Glowworms have arrived thanks to the cutting made through the Whakapapa River for a railway line but was never used. Instead, it is home to a 100m-long grotto of glowworms! Location: Kakahi, south of Taumarunui, Whanganui. It can be accessed from State Highway 4 using access roads Waitea Road or Whakapapa Road.